The Solar AE-4 kit is one of the latest offerings from Go Power! The multi-panel kit, provides 680 watts/35.60 amps of output power, making it ideal for charging power-hungry appliances in your RV, like an all-electric refrigerator. Choosing a solar panel kit for your RV or boat eliminates the need for conventional battery charging systems, such as generators. Take your next adventure off the grid. 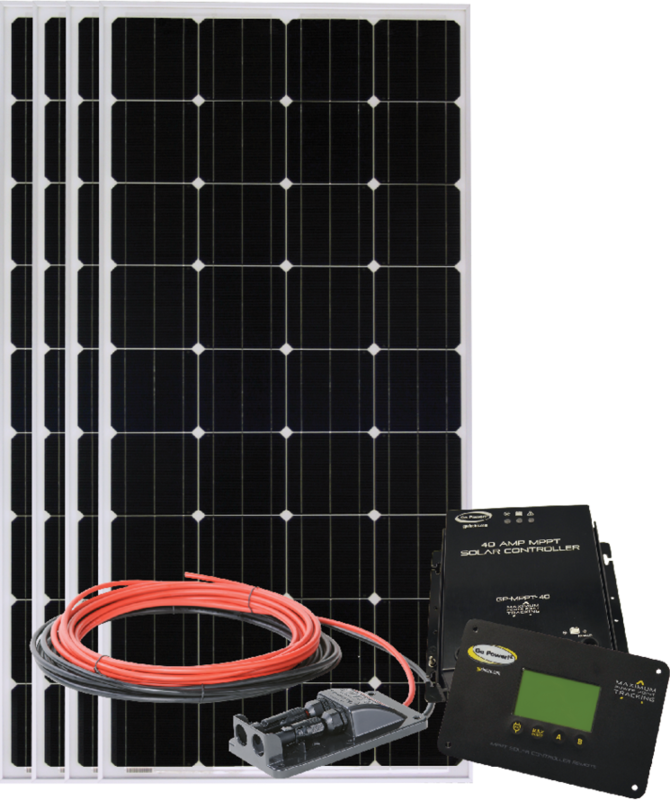 The Solar AE-4 kits comes with a 25 year limited power output warranty. Ideally paired with our INVERTER CHARGER to power your AC loads.